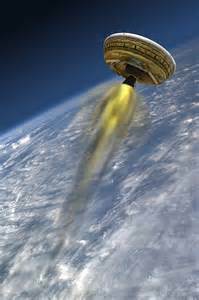 NASA’s Low-Density Supersonic Decelerator Project (LDSD ) is preparing to launch its second saucer-shaped, rocket powered test vehicle into near-space from the Navy’s Pacific Missile Range Facility on Kauai, Hawaii, in June. The first LDSD test flight was conducted on June 28, 2014. The suborbital flight was considered a success even though the test vehicle’s parachute did not fully deploy. The 7,000 lb (3,175 kg), 15-foot (five meter) wide, test vehicle is currently being prepared for shipment to Hawaii in a clean room at NASA’s Jet Propulsion Laboratory (JPL ) in Pasadena, California. JPL will be conducting an hour-long live, interactive broadcast from the gallery above the clean room on March 31, from 11:30a.m. to 12:30 p.m. PDT. The LDSD test vehicle is expected to undergo a “spin-table test” during the broadcast. The event will be hosted by JPL’s Gay Hill and will be streamed live on: www.ustream.tv/NASAJPL2. LDSD team members will answer questions submitted to the Ustream chat box or via Twitter using the hashtag: #AskNASA. 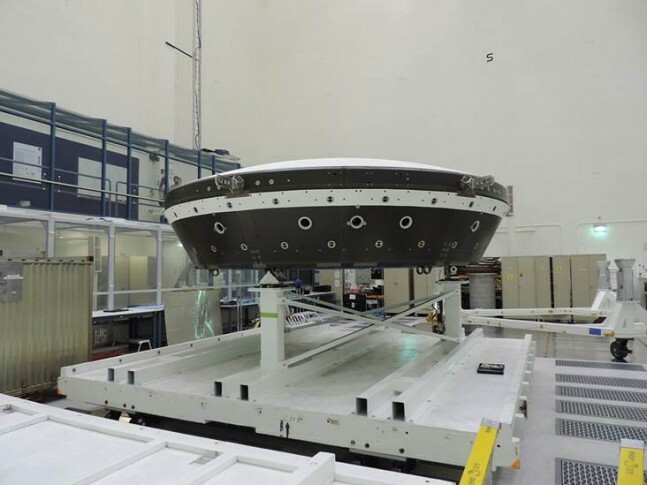 The goal of the LDSD mission is to test new technologies that allow large payloads to be safely landed on Mars and other planetary bodies with atmospheres. Current Mars landing technologies date back to NASA’s Viking mission, which placed two landers on Mars in 1976. A parachute design similar to Viking’s design has been used ever since, most recently for the Mars Curiosity rover mission in 2012. The Viking-era deceleration system has reached the limit of the amount of mass that it can safely deliver to the surface of the Red Planet. Also, high-elevation regions such as mountaintops or the high altitude southern plains of Mars are inaccessible because of the extremely thin Martian atmosphere. The LDSD program is testing and developing three new deceleration devices. With the space agency planning on sending crews to the Red Planet as early as sometime in the 2030s, having a light-weight method of atmospheric reentry is critical to its efforts. The article has been updated to reflect the new time of the broadcast, 11:30 a.m.-12:30 p.m. PDT.